Supplying innovative, top-quality tools and equipment to completion and production service companies. Defined by our unrelenting work ethic. Built on a heritage of hard work, innovation and a dedication to developing lasting customer relationships. We engineer and manufacture innovative, top-quality tools and equipment for your production and completion projects. 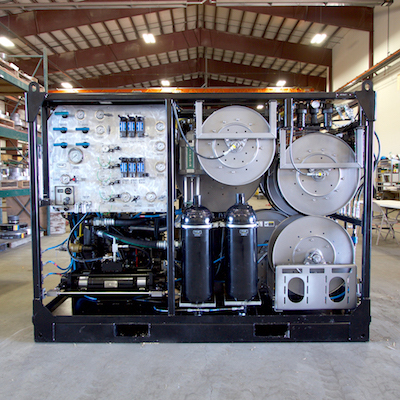 Our equipment is designed and constructed to last in harsh oilfield environments. Our services and certifications are thorough and extensive to provide safety to your teams. Basin Production & Completion Tools is dedicated to helping you get your jobs done quickly and efficiently. We never back down from a challenge. Whether it’s a seemingly impossible deadline or improbable configuration, we jump at the opportunity to get you the equipment and tools you need to succeed in the field. Learn about our unique products and how FHE became Basin Production & Completion Tools.